Is there anything Sara Bareilles can't do? Not only is Bareilles a Grammy-nomiated singer and author, but she's writing the music for the upcoming Broadway adaptation of Waitress. (The 2007 comedy-drama starred Keri Russell.) While the musical doesn't debut until April 2016, Bareilles just released the lyric video for the first song off of the What’s Inside: Songs From Waitress album, "She Used to Be Mine." 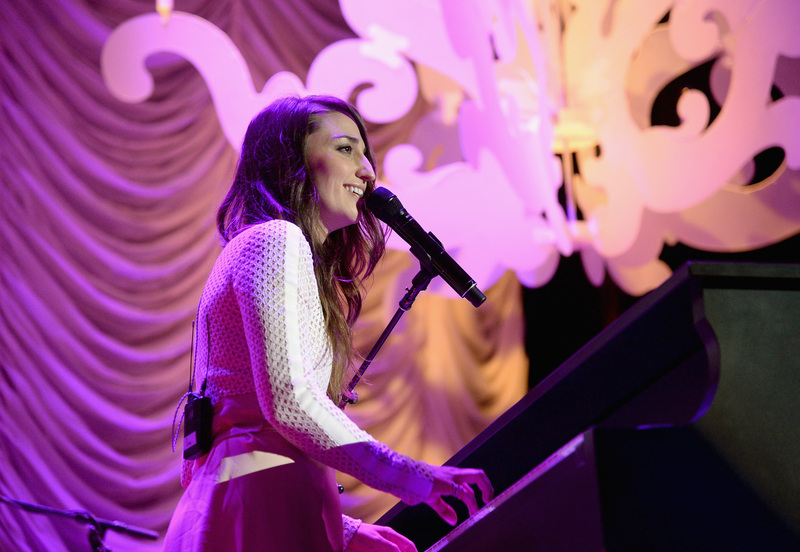 The track has three Bareilles signatures: Her powerful voice, a strong piano presence, and tons of emotion. "She Used to Be Mine" speaks to all of us who are struggling in some way. In this case, Bareilles speaks from the perspective of Jenna, an unhappily married waitress. "It's not easy to know / I'm not anything like I used to be / Although it's true / I was never attention's sweet center / I still remember that girl," Bareilles sings so emotionally that it's bound to tug at your heartstrings just a little. "She's imperfect but she tries / She is good but she lies / She is hard on herself / She is broken and won't ask for help / She is messy but she's kind / She is lonely most of the time / She is all of this mixed up and baked in a beautiful pie / She is gone but she used to be mine." For better or for worse, life is unpredictable. However, Jenna's story is relatable in so many ways, and Bareilles' song captures that complexity. As the song progresses, it also inspires Jenna (and the listeners!) to fight for what we want. You can listen to "She Used to Be Mine" in the video above. What’s Inside: Songs From Waitress will be available on Nov. 6.